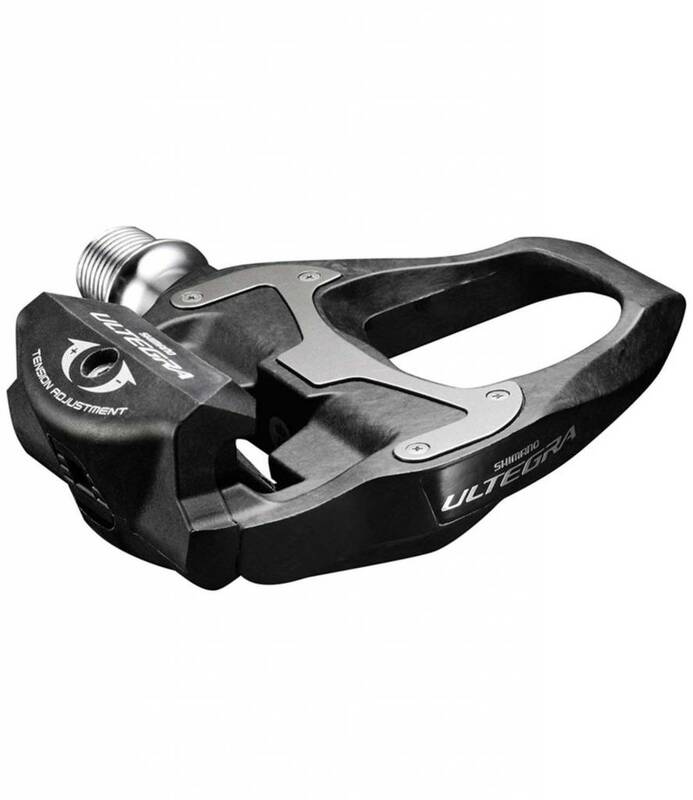 Featuring a carbon composite body for serious weight savings and high levels of rigidity, the Shimano Ultegra PD-6800 SPD-SL Pedals are a great choice for the competitive cyclist and casual, everyday rider alike. The pedal's wide platform enables high levels of energy transfer, ensuring maximum efficiency on the road. Wide bearing placement maintains a uniform load distribution for stability. Its short carbon fibers make it just a touch heavier than Shimano's featherweight PD-6900, yet it offers a similar level of performance without the sticker shock. 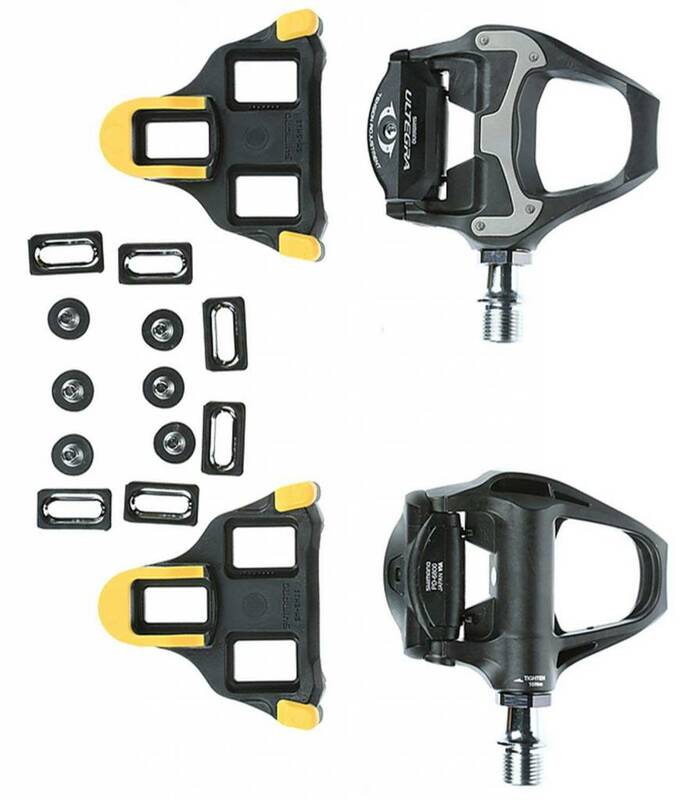 They retain the same satisfying retention and release mechanism of SPD-SL pedals for easy use, and a stainless steel cover protects the pedal's carbon body from abrasion while reducing flex for maximum efficiency.